Tasted at Bordeaux Index annual 10-year on tasting from an ex-château bottle. 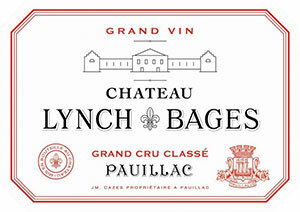 The Lynch Bages 2004 displays more Merlot character on the nose, soft and rounded with raspberry, crushed strawberry, touches of bay leaf, sage and sous-bois developing and beginning to dominate with time. The palate is medium-bodied with supple tannins and fine acidity. This is elegant and supple in the mouth, touches of espresso infusing the peppery red berry fruit and segueing into a classic finish. Tasted March 2014.